The Better Business Bureau provides consumers and businesses with business and charity reviews, ratings, and more. 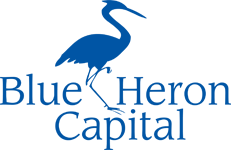 Blue Heron Capital, LLC is an A+ Accredited Member. The National Ethics Association is a membership organization of background-checked financial professionals. Linda Gardner has passed a comprehensive, background check process and has agreed to uphold certain ethical standards for membership. Ed Slott is known as “America’s IRA Advisor”. As an Ed Slott Master Elite Advisor, Linda receives continuous training from Ed and has access to his IRA Technical Consultants to better serve her clients. The Living to 100 Life Expectancy Calculator uses current and carefully researched medical and scientific data in order to estimate how old you may live to be. The calculator asks you 40 quick questions related to your health and family history, and takes about 10 minutes to complete. At the end, you will be asked to create an account store your answers.